Jasmine Tea is a famous tea made from Green( Green Tea Vietnam ) tea leaves that are scented with jasmine flowers. The jasmine flowers are harvested during the day and stored in a cool place until night. During the night, the flowers bloom with full fragrance. The flowers are layered over the tea leaves during the scenting process. The quality of Jasmine tea is determined by the quality of green tea used as its base and the effectiveness of the scenting. 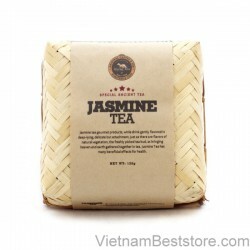 Vietnambeststore offers Jasmine tea, in a variety of grades and modalities for your enjoyment.